Friday is finally here and it’s time to enjoy some fresh tunes and celebrate the weekend. But for yours truly it’s kind of complicated, as we have included all our fresh tunes in the mixtape for June, which is about to be released on monday, due to the fact that monday is June 1th and we always release a new mixtape on the first of every month. But this month it will be different, because we have decided that June starts today and why wait, when something good is about to go down. 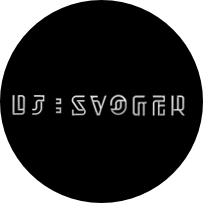 For DJ Svoger the month of June is equal to summer vibes, warm weather and bright nights, which hasnt’ showed up in Copenhagen yet. So with this mixtape, we try to compensate for all the bad weather with some warm deep house and future beats, just to pretend that the summer is here and Ibiza is close. The first half of the mixtape is meant to be a slow warm-up to the second half, which has more bass and a faster beat – but both halfs are loaded with great tracks, so this month we can’t point at any particular track, because you simply has to listen to them all, as there are no weak spots. But huge thanks to producers who have sent us rare material like Anton Borin and others, which tracks will appear in future mixtapes. As always, we hope that you feel for our chosen few and the music will bring you lots of delight and good times. Please share our work and help us promote the good vibes of DJ Svoger – Enjoy!